Or a range of available Karaoke DVD’s. 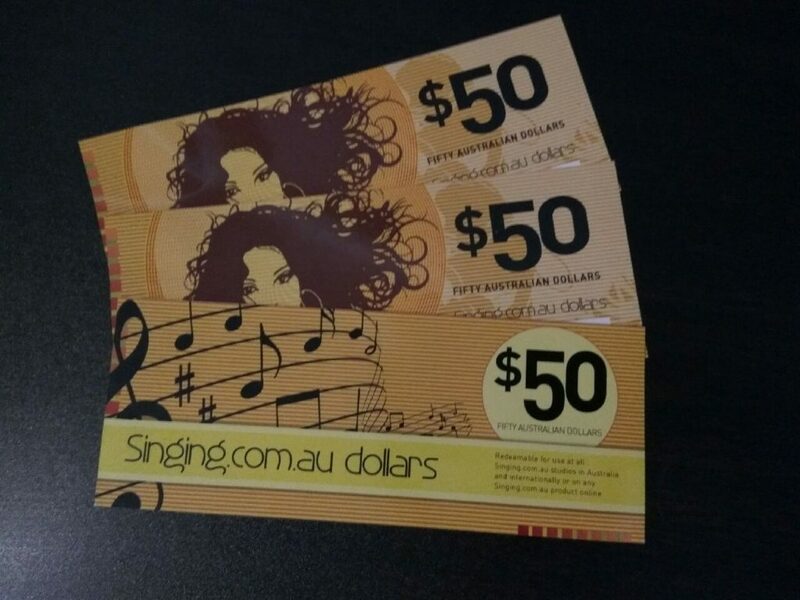 The singing dollars has no expiry date so it’s the gift that lasts and can be used anytime. Buy your singing dollars now! Singing dollars are posted to customers complete with instruction card and service information. Expected delivery time 3-5 working days.